In addition, Hungarian retailer Alza has publicized high-resolution renders of the Moto G6, G6 Play and G6 Plus (seen above through SlashLeaks). 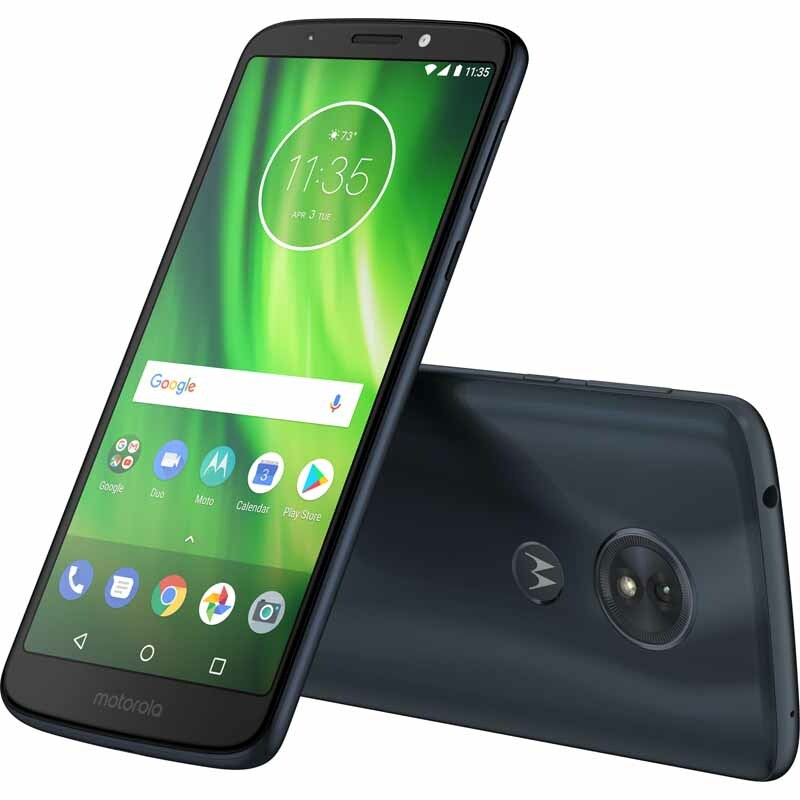 Moto G6 Play is also tipped to come with features like - front fingerprint scanner, a microSD card slot, Dolby Audio, and supports Moto Experiences (Moto Display and Moto Actions). However, Motorola is yet to confirm on the launch date of the Moto G6 series. The fingerprint sensor of the Moto G6 will be placed in the front panel of the phone right below the display, with which users cannot only unlock the device but also the apps. A noticeable thing in these colorful posters is the absence of the fingerprint sensor at the front. Well, there certainly won't be many surprises left when the Moto G6 phones finally see the light of day. At the back, it gets a 13MP main camera and a 5MP selfie shooter with LED flash. MWC came and went without any new phones, but it's looking like Moto has the latest generation of its iconic "G" series on the way... The screen is going to offer a 1440×720 pixel resolution, and on the inside of the phone there is a 1.4 GHz, quad-core CPU, probably a Snapdragon 430. Its other features are Android 8.0 Oreo, single-SIM/dual-SIM variants, 4G VoLTE, Wi-Fi 802.11 b/g/n, Bluetooth 4.2, Global Positioning System and 3,000mAh battery with Turbo charging. Its remaining features include single-SIM/dual-SIM variants, 4G VoLTE, Wi-Fi 802.11ac (2.4 GHz and 5 GHz), Bluetooth 5.0 LE, GPS, GLONASS and 3,200mAh battery with Turbo charging. It makes use of a Qualcomm Snapdragon 630 processor, along with 6GB of RAM and 64GB of inbuilt storage. In the third image, Moto G6 Plus is shown to have special camera feature that allows the user to change the background of the photo while keeping the subject in the same place. As a $50 price difference might suggest, these two phones are expected to be more similar than different overall, although there will be a number of fundamental differences between them. It will be powered by a 4,000 mAh battery and will feature a 13 MP primary camera with Rapid Focus technology. As for the availability details, Moto G6 is expected to ship starting May 17, which hints at April launch of the phone.